Some products that are sold from the shelves require more beautiful embellishments than others, these products are usually the more expensive and luxury ones and demand matching levels of beautiful packaging on them. The most economical way of getting matching packaging for them is to beautify those using Gold Foil Stickers. 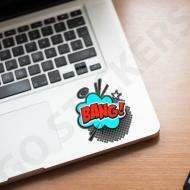 These custom made stickers are some of the most beautiful in the industry and suit the high more expensive profile of the expensive products like jewelry, watches or some other luxury wearable or different nature of products. 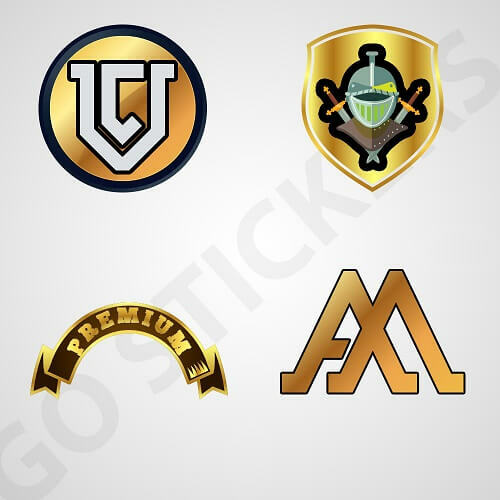 Made from top of the line materials and painted in long lasting gold color, these foil stickers from Go Stickers last the longest while making the packaging look the most beautiful and attractive. Get free delivery and free printing help on bulk orders from us and also don’t pay anything for printing plates or cutting die equipment. Gold Foil Stickers are some of the most beautiful yet cheaper options to make packaging boxes for the expensive luxury products look just in line with their luxurious appeal. 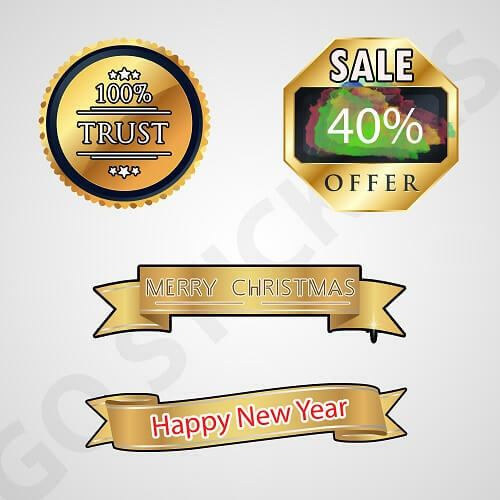 These self-embossed gold foil stars or any other required shape stickers from Go Stickers are manufactured using the highest quality most durable materials that will keep their shiny gold finish for the longest time possible while providing extra-long lasting flattest stick at the same time as well. These highly personalized stickers come in numerous design and color options including rose gold, pure gold or even darkish gold accents. 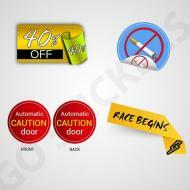 Go Stickers by making use of our high tech cutting and designing equipment, offer the most beautiful and Unique Gold Foil Stickers that are unmatched in design choices and beautiful finish. Our most expert stickers designers are able to deliver the most stunning gold foil circle stickers or any other required shapes preferred by our clients. 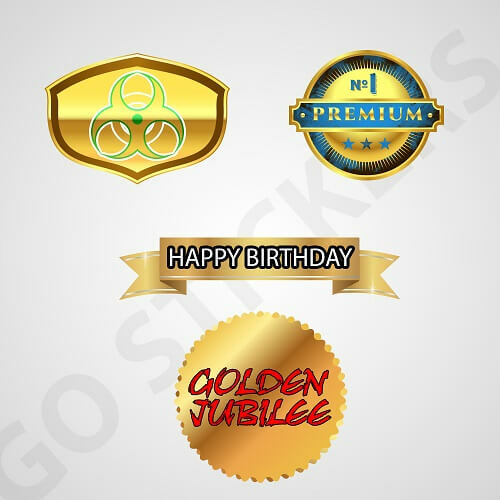 The most personal custom gold foil stickers that have emotional messages like thank you or other alphabet arrangements are also a specialty of Go Stickers. 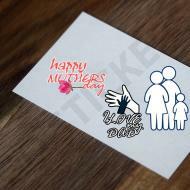 All our stickers come at cheapest market rates with highest-level materials and adhesive quality. Go Stickers have been serving the custom stickers market for decades, and all that experience has helped us develop the most reliable and efficient raw material sourcing and processing channels, which help us offer the cheapest Wholesale Gold Foil Stickers to our clients. Regardless of your bulk order size, you will get the highest quality embossed gold foil vinyl stickers that will have the ability to make your products appeal all that more to your customers for the longest time possible. Our wholesale price guarantee is the most reliable in the industry while keeping the highest quality standards as well. 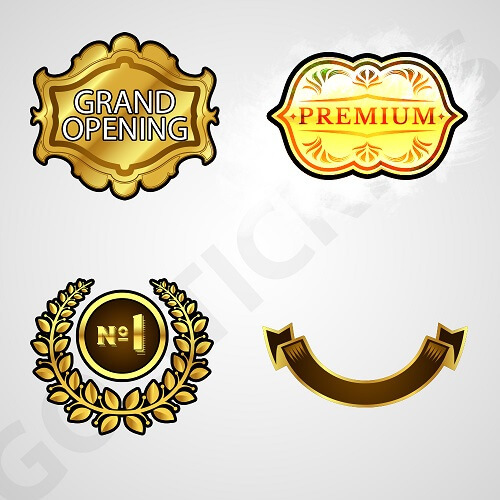 The basic purpose of Custom Gold Foil Stickers is to make the packaging or products look beautiful and boost their sales by appealing more to the customers, and also different products require gold foil crown stickers that have designs that suit their nature and needs perfectly. Go Stickers having the perfect combination of skill, experience, and state-of-the-art equipment are able to provide the most personalized Gold Foil Stickers that are accurately according to the design requirements of the product packaging they are supposed to be pasted on. Whether you want perfect foil stickers for jewelry, cosmetic, perfumes or any other wearable luxury products, we will deliver the most well-suited solutions to you. 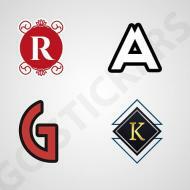 If you are a luxury products retailer, a manufacturer, a trader or a supermarket and want highest quality Custom Gold Foil Stickers that have the most unique most personalized designs for your custom products and also come at the cheapest most reliable wholesale prices, Go Stickers is the one stop shop for you. Let us provide you your desired shape and design foil stickers that will keep your luxury products looking beautiful for the longest time possible and avail our free delivery and free printing advice offers on bulk orders as well. We also don’t charge anything for the printing plates or the cutting die equipment.